We manufacture a wide range of industrial barrel pumps, barrel pump, barrel transfer pump, electric barrel pump, pneumatic barrel pumps, electric transfer pump particularly designed and engineered to meet the needs of highly productive industries. 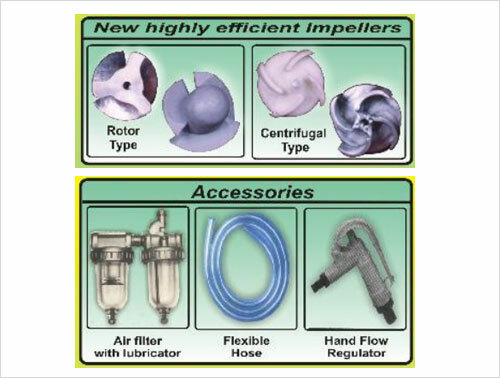 The most important feature of these barrel pump, barrel transfer pump, electric barrel pump, air-hydro booster pump, electric booster pump, electric transfer pump and functionally superior pumps is its specially developed unit the unique pump tube and the axial vane impeller or centrifugal impeller. The power on/off switch is located at the top that makes it easy to use. The rugged motor is designed having large handle grip to ensure a secure grasp when wearing bulky rubber gloves. Pump tubes used are interchangeable and can be easily connected or disconnected to the motor by means of grip collar nut. Some accessories like hand flow regulators and braided vinyl hose are also available if required. To provide high durability chemical resistant anti corrosive parts like Teflon, Hastalloy C, PP, Viton, rugged SS304/SS 316 are also available. For transferring solvents, acids, alkalis, petroleum products etc from the machines, car bays, barrels and tanks. These high power motors are capable of transferring highly viscous liquids at very high heads. Our highly effective Barrel transfer pumps are mostly used in chemical, power, food, textile, pharma, medical and heavy engineering sectors. Stainless Steel, PP, Teflon Body. We manufacture a wide range of industrial barrel pumps, barrel pump, barrel transfer pump, electric barrel pump, electric transfer pump particularly designed and engineered to meet the needs of highly productive industries. 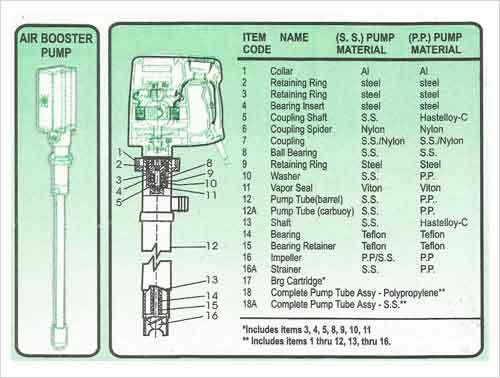 The most important feature of these barrel pump, barrel transfer pump, electric barrel pump, booster pump, electric booster pump, air booster pump, electric transfer pump and functionally superior pumps is its specially developed unit, the unique pump tube and the axial vane impeller. The power on/off switch is located at the top, that makes it easy to use. The rugged motor is designed having large handle grip to ensure a secure grasp when wearing bulky rubber gloves. Pump tubes used are interchangeable and can be easily connected or disconnected to the motor by means of grip collar nut. 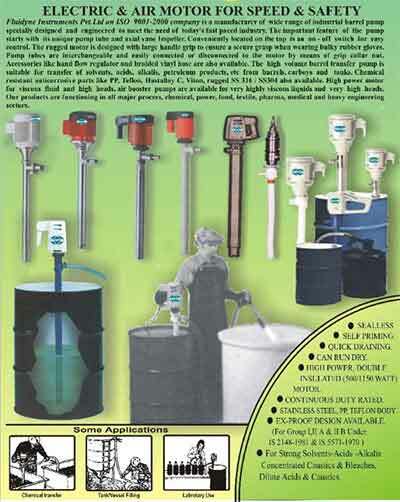 Some accessories like hand flow regulators and braided vinyl hose are also available if required. To provide high durability chemical resistant anti corrosive parts like Teflon, Hastalloy C, PP, Viton, rugged SS304/SS 316 are also available. 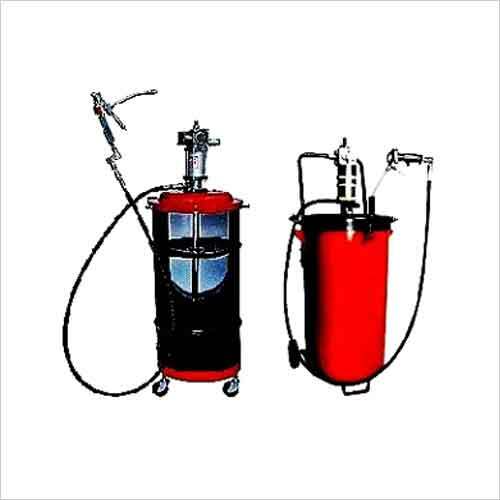 For transferring solvents, acids, alkalis, petroleum products etc from the machines, car bays, barrels and tanks. 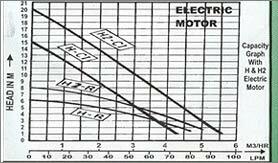 These high power motors are capable of transferring highly viscous liquids at very high heads. Our highly effective Barrel transfer pumps are mostly used in chemical, power, food, textile, pharmaceutical, medical and heavy engineering sectors. Fluidyne manufactures Ex-proof Design (For Group I, II A & II B Under IS 2148-1981 & IS 5571-1970) Barrel Pumps or Drum Pumps suitable for Strong Solvents-Acids-Alkalis Concentrated Caustics & Bleaches and also Dilute Acids & Caustics. High Power, Double Insulated (500/1150 Watt) Electric Motor. 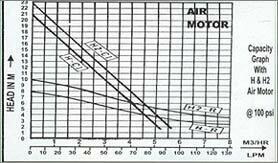 Special Air Motor for speed and safety. Stainless Steel, PP, Teflon Body. Fluidyne pneumatic barrel pump or air operated barrel pump fits drums with 44mm or 50mm diameter openings and will efficiently transfer of oil and other corrosive or non-corrosive fluids. The pump suction tube is 40 in. 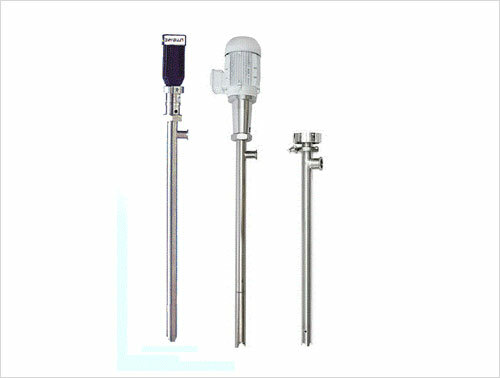 long and is suitable for standard drum or carboy. Fluidyne pneumatic barrel pump or air operated barrel pump works on air pressure of about 100 psi. Fluidyne pneumatic barrel pump or air operated barrel pump is ideal for combustible liquids and construction is flame proof. 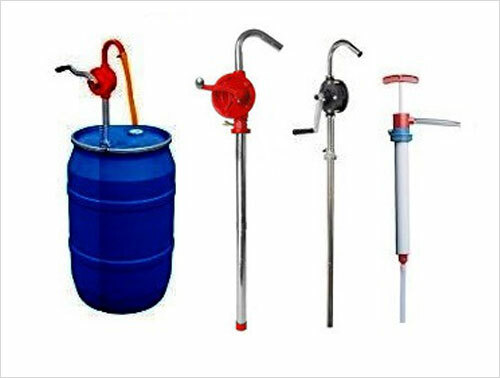 Fluidye manual pump or rotary hand barrel pump is designed for transferring or dispensing of liquids out of 200 litre (or 55 gallon ) drums; The manual rotary action dispenses light oils, anti-freeze, coolants, kerosene, oils and other light flammable or non-combustible liquids. It is multi-purpose - Easy & Fast. It is self-priming rotary or piston operated. 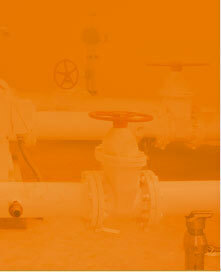 We offer a wide range of barrel pump accessories such as hand flow regulators and braided vinyl hose. Our range of Teflon, Hastalloy C, PP, Viton, rugged SS304/SS 316 is also available that are appreciated for durability, corrosion resistance and chemical resistance. 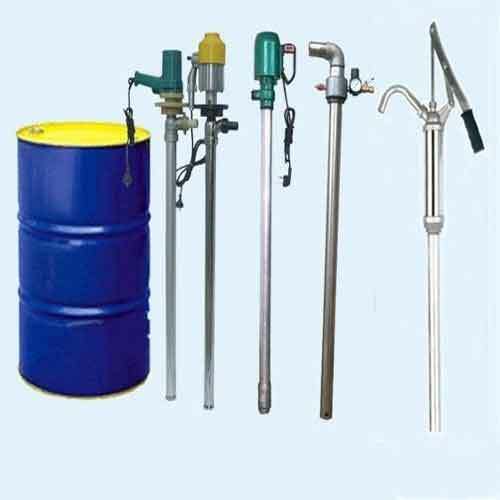 For shifting solvents, acids, alkalis, petroleum products and others from the machines, car bays, barrels and tanks these accessories are used. These motors are of high power and are capable of transferring highly thick liquids at very high heats. These Barrel pumps are mostly used in chemical, power, food, and textile, pharmaceutical, medical and heavy engineering sectors. 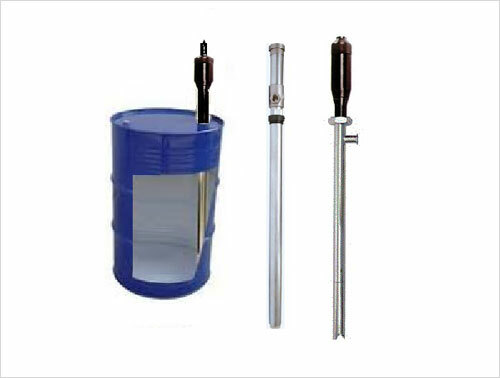 Fluidye offers grease pumps designed for transferring or dispensing of all grades of grease out of 200 litre (or 55 gallon ) drums; The outlet is provided with dispensing gun. All parts are of robust construction for long life. 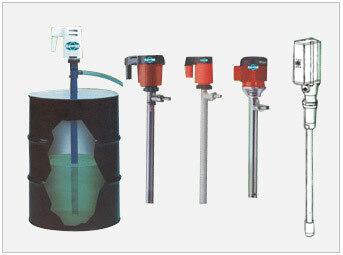 Fluidye sanitary pump or sanitary barrel pump dispenses light and heavy grease and heavy oils. It is self-priming pneumatic operated. Fluidyne grease pumps is very efficient and designed with a trolley for easy movement across the shop floor.